Rifleman B/352 Harry Gilbert Rogers, 7th Battalion, Rifle Brigade. lived out their last years. Harry was born in 1879, but it is not quite clear where. Most records suggest that he was born in Winchester, Hants, but his record in the printed roll of honour Soldiers Who Died in the Great War gives his birthplace as Newbury. His father, Arthur James Rogers was from Winchester, but his mother Martha (née Batchelor) was from Newbury. It is, of course, possible that Martha went back to her mum to have trusted support during the birth, but the birth should then have been registered in Newbury, not Winchester (as was the case). In those days of home birth it would be easy enough to tell the registrar a lie in order to avoid a trip to Newbury just to register the birth, but the odds are that he was born in Winchester like his siblings. Arthur and Martha had seven children, six of whom were registered in Winchester - the seventh seems not to have been registered at all! Harry was the youngest, his siblings were Jemima Eliza (born 1863), James (1865), John (c1867), Jane (1870), Alfred Edwin (1872), and Walter (1875). 1887 was a bad year for the Rogers family. Early in the year John died, as did James’ baby daughter Edith; then in October James hanged himself - the result of depression brought on by the earlier deaths. Harry would have left school in 1901 or 1902 and gone out to work. Boys would often work as errand boys, farm boys, or similar, but the luckiest would learn a trade through an apprenticeship. Harry may well have followed this latter course because, in the 1911 census, he is recorded living with and working for a watch and clock repairer, Henry George Hall, in Eastleigh. By that time his parents had also left Winchester; Arthur had retired from his job as a grocer’s shop assistant and moved with Martha to live with Harry’s brother, Walter, in Newbury. 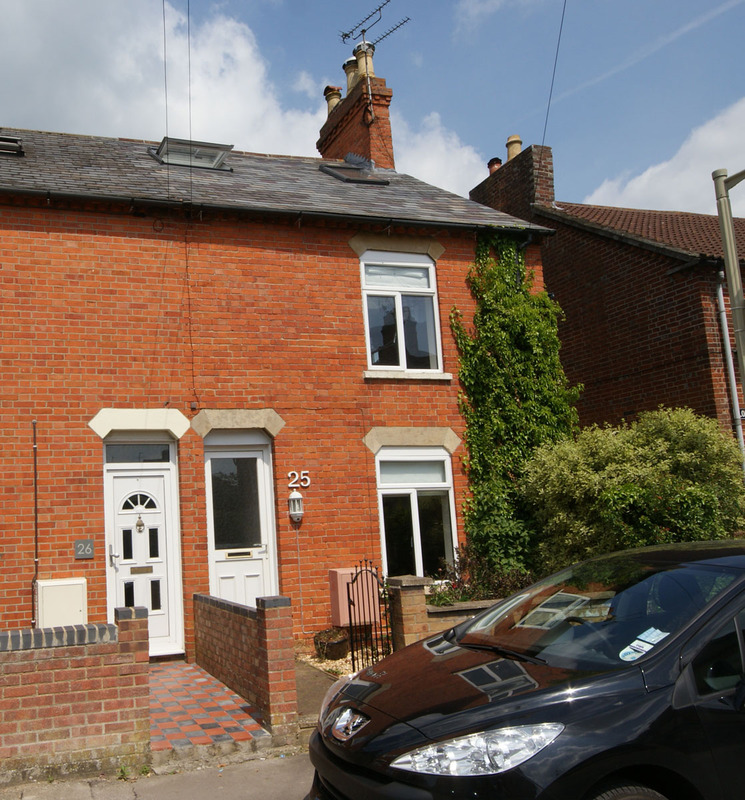 Walter was a hair dresser’s assistant who moved to live at 1 Dorchester Villas, Gloucester Road, Newbury in 1906. By 1911 he was living there with his parents and his sister, Jane. Arthur and Martha remained in Newbury for the rest of their lives dying in 1916 and 1920 respectively. Neither was alive when the Newbury War Memorial Committee was collecting names for the proposed new memorial in 1922. It was, presumably Jane and Walter who put forward Harry’s name. Harry joined up soon after the war started enlisting at Southampton into the Rifle Brigade. 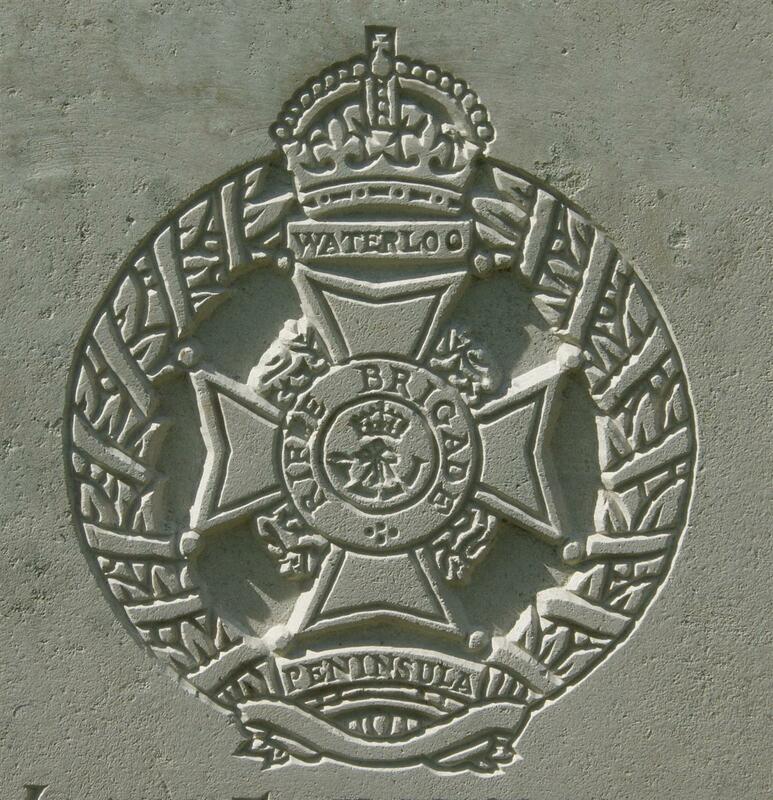 Two army terms that can cause confusion are ‘brigade’ and ‘corps’ because both are used in two ways; as the names of army units equivalent to regiments (the Rifle Brigade, the Machine Gun Corps) and as the names of structural elements of the army at the front. A Corps comprised two or more Divisions, a Division included 3 infantry Brigades each Brigade incorporating 3 or 4 infantry Battalions. Each infantry Regiment sent multiple Battalions to France and elsewhere. Harry was posted to the 7th Battalion of the Rifle Brigade which was attached to the 41st Brigade in the 14th (Light) Division). This was a division of the New or Kitchener Armies created as totally new units from the hundreds of thousands of recruits who flocked to the colours in 1914. The 7th Battalion was the first of seven such battalions sent to the front by the Rifle Brigade. The 14th Division was one of the first of the new divisions to be sent to France, where it landed at Boulogne in May 1915. Shortly after they arrived at the front the 14th Division had the dubious distinction of being the first to be attacked by a new weapon – the flammenwerfer or flame thrower on 30 July. The 7th Battalion were fortunate having been relieved in the line by the 8th Battalion, Rifle Brigade a few hours before the Germans attacked. An hour after the battalion reached its rest billets in at 3.40am orders arrived to prepare to return to the line with as much ‘S.A.A.’ (Small Arms Ammunition) as possible. Thrown into a counter attack the battalion suffered heavy casualties – the roll call on 1 August showed a fighting strength of 14 officers and 559 men – around half of the strength on landing in France a couple of months earlier. Throughout the war infantry battalions kept records of their men, but these rarely survive; one nominal roll for the 7th Battalion, Rifle Brigade included in its war diary for December 1915. Harry appears on this roll as Rogers. W G, in A Company. Despite the error in his initials his regimental number (B/352) confirms it is Harry. A year later the 14th Division was holding a section of the line near Arras when it was ordered south towards to maelstrom of the Battle of the Somme. It was soon involved and experienced the hell that was Delville Wood in mid August. On 15 September it took part in a major offensive in the area of the villages of Flers and Courcelette. The Battle of Flers-Courcelette is famous for being the first to involve the use of tanks. At 6.20am (zero) the advance began in conjunction with an intense artillery barrage on the enemy’s defences. – There had been no preliminary bombardment. Operation orders were as follows:- The 8th KRRC & 8th Rifle Brigade in advance were to seize the TEA support trench (reported obliterated) and the 3rd (Switch) Line. 2nd Wave – 7th KRRC on left and the 7th Bn The Rifle Brigade (right) had GAP trench as objective – position 500 x further N.E. Close to village of FLERS. The objectives of the 42nd Brigade included the capture of GUENDENCOURT. – TEA trench – in the capture of which the Battn became involved – was found to be strongly held, & it proved a serious obstacle. Both here and before the 1st Objective (Switch) the Bn suffered severely. It pushed on in small parties to its final objective (GAP trench) which it captured – here the resistance of the enemy had considerably diminished. He surrendered everywhere in large numbers, showing little fight – he relied solely on his M/C Guns. The 42nd Brigade now advanced through the line towards the third objective. About 2 hours after the scheduled time for its capture the Battn was firmly established in GAP trench – and its flanks in touch with the Guards on the right and the 7th KRRC on the left. It was relieved at about midnight 15/16th by the DCLI. 42nd Bde – after 18 hours hard fighting on an advance of roughly 1500x. The Tanks used for the first time in this action did not come into much prominence in this area. Casualties: Officers 1 killed (Lt Rogers), 1 missing, 7 wounded. OR 18 killed, 75 missing, 210 wounded. This list will no doubt be greatly adjusted. Harry's name on the Newbury memorial. The diary includes a detailed casualty list – in which Rifleman B/352 Rogers H appears among those ‘wounded’. He was later declared ‘killed in action’, which contradicts the casualty return. It is possible that he died of his wounds soon after the action, but most men who died in the care of the medical services at the front are not only registered as ‘died of wounds’ but also have known burial places. However, some burials were disturbed when the area was fought over again in 1918, and numerous graves were lost in this manner. Of course the casualty list may be wrong, perhaps his body was left on the battlefield – blown apart or buried by a shell burst. Whatever the explanation Harry does not have a known grave; his name is remembered on the immense Thiepval Memorial to the missing of the Somme (Pier and Face 16 B and 16 C). 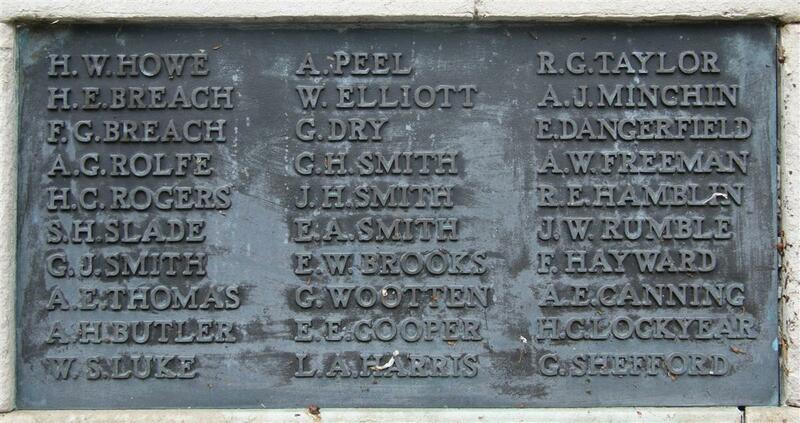 Locally he is only remembered on the Newbury town War Memorial (tablet 10).